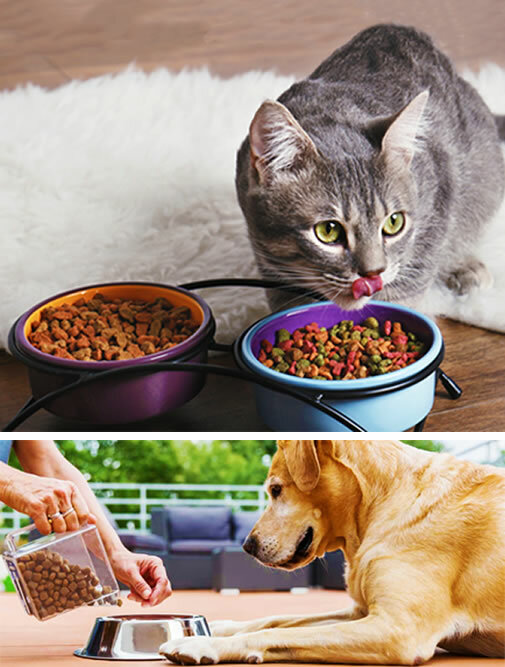 SOILL prides itself on producing quality products for the livestock feed, pet food and industrial markets, in partnership with our valued customers. The divisional structure allows for more specific focus by the respective teams and their managers on their core markets. SOILL is a proud producer of high quality sources of protein that is essential in the feeding and performance of all livestock. These include canola meal, maize germ meal, soya meal and SOILL’s own Ekstrublend36. These feed sources form an integral part of animal feed formulation. The correct use of these products in conjunction with other feedstuffs like energy feeds, roughage, vitamins and minerals can maximise animals performance. They have a shelf-life of 6 months in dry, well-ventilated storage conditions and are available year round. SOILL also provides a free technical service to clients on the use of these products on their farm. Every product is also registered under Act 36 of 1947. At our Roodekop terminal, SOILL specialises in formulating energy feed additives that consist of various blends of high quality crude and refined vegetable oils and animal fats. We have generic blends that have been used in the market for over 20 years. We can also formulate blends to meet individual customer requirements. We are members of AFMA and PFI and are approved by Department of Agriculture, forestry and fisheries to export. All our products are registered with the Department of Agriculture, forestry and fisheries. Our years of experience, trusted suppliers and extensive infrastructure enables us to supply each customer with a tailor made blend suited for them. 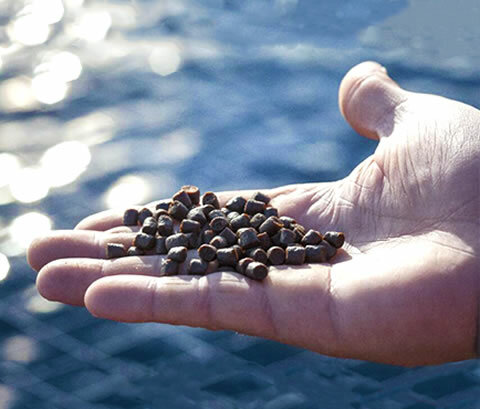 The focus of SOILL’s Blackheath terminal is on refining fish oils due to the high yield of omega 3 nutrients inherent in these oils. This, therefore, makes it ideal for various feed applications and is in high demand globally. South African fish oil internationally has great appeal due to the exceptional quality of the oil, as well as the lack of heavy metals and other toxins that are prevalent in other sources of fish oil. The Blackheath terminal has 1200 tons of storage for our production requirements in addition to an area for the decanting of buckets and drums. This enables us to service both big and small oil handling requirements. A dedicated tanker for the distribution and collection of products increases our flexibility and assists in providing our customers with excellent service levels. This independent terminal has its own in-house maintenance team as well as a laboratory to ensure the delivery of a service that is efficient and on-time. Our laboratory conducts the basic tests required for oil quality, including moisture analysis, free fatty acid tests (FFA) and gas chromatography analysis. SOILL’s Roodekop facility specialises in formulating energy feed additives that consist of various blends of high-quality crude and refined vegetable oils and animal fats. We can also formulate blends to meet individual customer requirements. We are members of AFMA and PFI and are approved by Department of Agriculture, forestry and fisheries to export. All our products are registered with the Department of Agriculture, forestry and fisheries. Our in-house laboratory ensures that all our products meet the highest quality standards. As an additional service to our customers, we have our own fleet and can assist with on-time deliveries. Refining, bleaching and deodorizing of vegetable oils, animal fats and fish oil takes place at our facility, providing RBD tailor made feed products. The refining processing facility is a 20 ton capacity plant and is run by highly skilled and experienced staff. We guarantee quality by testing our products in our in-house laboratory in addition to utilising the services of third party accredited laboratories. SOILL complies with the AOCS Standards (American Oil and Chemistry Society). All products are tested and need to meet specific quality parameters. Products are tested according to our customers’ specific requirements and all products leaving the facilities are accompanied by a COA (certificate of analysis). We do independent analysis upon request – the range of tests and associated rates are available upon request. We have a fleet of tankers dedicated solely to our business for deliveries and collections. The on-site tanker cleaning facility ensures that vehicles are cleaned to the required standards and allows for more efficient turn-around. Tankers are inspected and provided with cleanliness certificates on site. A Weighbridge located at the Roodekop facility and the Blackheath facility using a Flow meter ensures that in flows and out flows of product enable immediate weight readings. The weighbridge and flow meter are calibrated on a regular basis to ensure accuracy of loads. Our dedicated drivers understand our customers’ needs as well as loading and off-loading restrictions. This enhances the value of our service by reducing down-time and providing that personal touch. Both Roodekop and Blackheath have 1500 tons storage capacity. There are various size tanks making up in excess of 35 tanks on each site which allow for the necessary blending of oil as well as required separate storage of animal fats and fish oil. All tanks are separately piped, have heating capabilities and temperature gauges for proper monitoring of the various oils and fats. 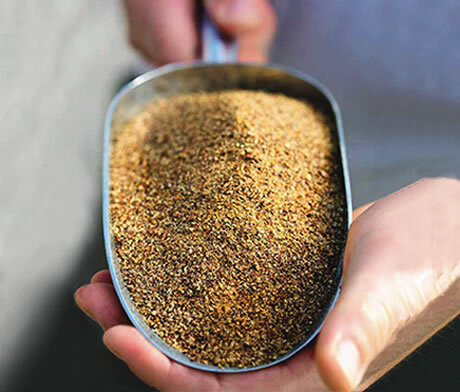 Whether you’re a farmer looking to buy one of our exceptional feed products, in need of technical advice or looking for oils for animal feed manufacturing, please select the appropriate division in the contact form and we’ll respond as quickly as we can.